Chaika (чайка). 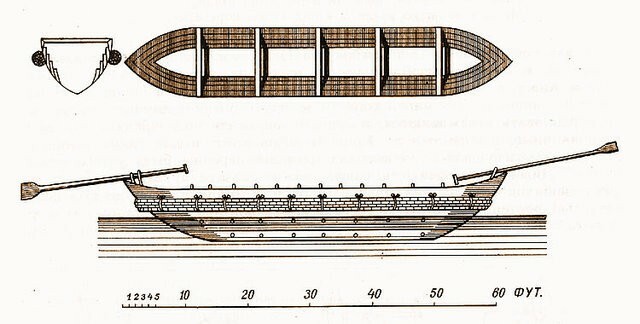 Type of boat, 18–20 m in length, 3–3.5 m in width, and 3.5–4 m in depth, used by the Zaporozhian Cossacks. Its bottom was carved out of a single tree trunk, and the sides were built of planks. Reed bales were tied to the gunwales of the boat to protect it from enemy guns and from sinking. There were two helms, at the fore and aft, to avoid the need to turn the boat about. The chaika was also equipped with a mast and sail. 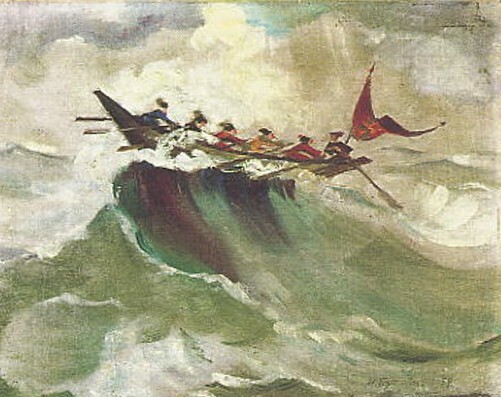 The crew consisted of 50–60 men. The boat carried several small cannons. Guillaume Le Vasseur de Beauplan left a precise description of the chaika.